In short, home automation lets you control your home’s light, heat and energy systems remotely, from work, from abroad, from inside the home itself… from more or less anywhere. Home automation reduces your carbon footprint because it gives you much more control over the energy you use, when and where. It also improves home security, letting you control your home’s electrical appliances and installations remotely via your smartphone. Loxone Electronics develops and makes control solutions for homes. It’s their job to make home automation interesting, affordable and accessible for everyone. Loxone’s founders, Martin Öller and Thomas Moser, share a lifelong passion for intelligent yet simple high tech solutions. We’re proud to be registered Loxone installers, which means we’re qualified to recommend, specify and fit one of the best home automation systems on the market. Their brilliant systems are affordable, easy to use and super-smart. Highly recommended! 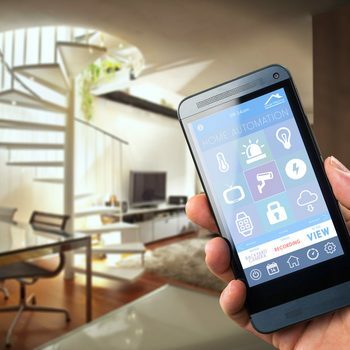 Call Lake Electrical on 0808 1469 299 or 07763 736382 to find out more about the wonderful world of home automation and get a FREE quote. Alternatively you can fill out the form below and we will contact you shortly.